I read this article and found it very interesting, thought it might be something for you. The article is called Transit Lounge Else and is located at https://www.totallydublin.ie/arts-culture/transit-lounge-else/. 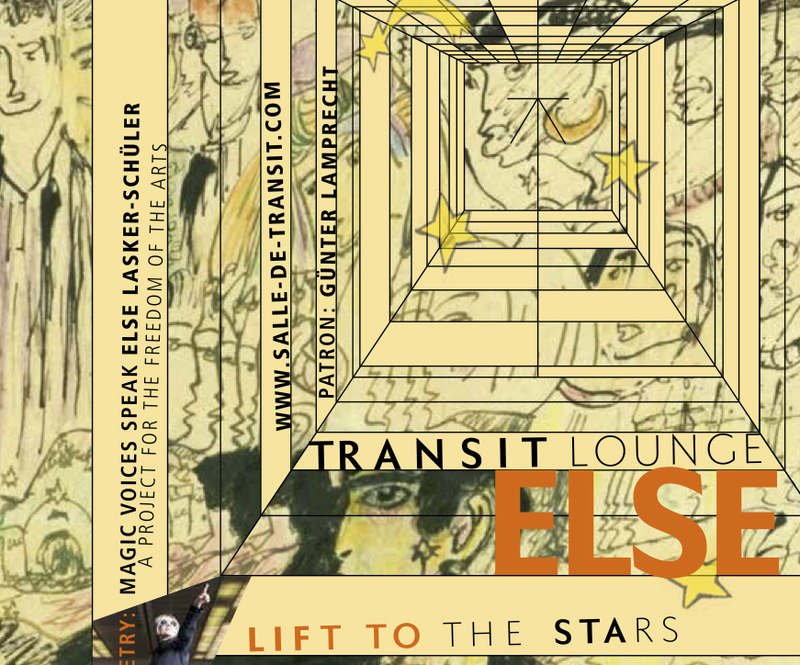 Transit Lounge Else is an international project of the Else Lasker-Schüler-Society (Wuppertal) in cooperation with the “Centre for Persecuted Arts” (Solingen), designed by the artist duo Astronautenkost. The focus is on the life and the outstanding work of the artist Else Lasker-Schüler. The actress Claudia Gahrke and the director Andreas Schäfer invite people to watch a recital of poems of this most important German lyricist. More than 50 renowned international artists have already taken part, including Iain Glen, Bob Balaban, Elfriede Jelinek, Sigalit Landau, Inger Nilsson, Lainie Kazan, John Nettles and Tomi Ungerer. The way in which a national state treats its artists is a litmus test for democracy. The persecution and fate in exile of an artist is exemplified by portraying an excerpt of her work and having a look at the life of the lyricist Else Lasker-Schüler. In a mix of short informative presentations, readings of Else Lasker-Schüler’s poems and prose in German and in the local language, events have initially taken place in cities such as Zurich, Stockholm, London, New York and Los Angeles (Villa Aurora); places where many artists had been in exile. The project is a tribute to the great artist, whose 150th birthday is celebrated in 2019, and a sensual feast for the freedom of art. Its patron is the German actor Günter Lamprecht. The sixth station will take place on 13th of November 2018 at 8:00 pm at the Boys School at Smock Alley Theatre, Dublin. With Claudia Gahrke, Andreas Schäfer and Professor Dr. Peter Arnds from Trinity College, Dublin. 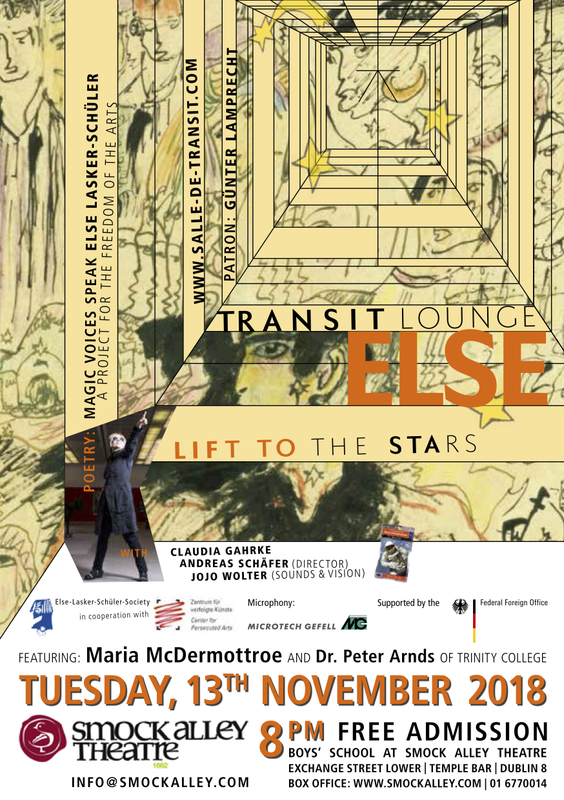 The well-known Irish actress Maria McDermottroe will introduce the wonderful poetry of Else Lasker-Schüler in its English translation. Admission is free. The project is funded by the Federal Foreign Office of the Federal Republic of Germany.